Like in the original game, players will have an open-world setting, this time a city called Fairhaven. There, the players can take part in races, speed runs, cop chases, stunts, or simply roam around. The Blacklist is also back but this time there are only 10 blacklist members, as opposed to the 15 in the original Most Wanted. There isn't any storyline or characters, the Most Wanted drivers are simply numbered one to ten. They all drive a different car with the same white paint. 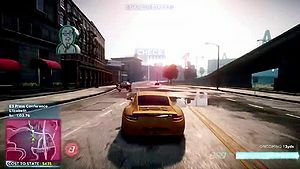 The driving model of the game has been described as "deep, physical and fun", not as arcade-styled as the Burnout series and Hot Pursuit, but far from a simulator. 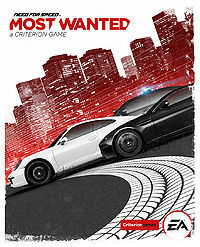 Most Wanted has a range of real-world vehicles, a mix of muscle cars, street racers and exotics, described as "the wildest selection of cars yet". The cars cannot be visually modified, apart from the factory colours available to each car, that can be changed if the player drives through a repair shop. The player can, however, win performance upgrades, such as tyres, transmission, nitrous, and bodywork. Each car has 5 events available, and depending on how good the player finishes each event, different mods are unlocked. Each car can be customized on the go using the EasyDrive menu. For example, if a player enters an off-road area, he can change to "off-road tires" for better traction, and once the player gets back on the tarmac, he can change to "track tires". This page has been accessed 180,472 times.